Camping Des Glaciers är en camping i La Fouly, Valais, belägen i skogen och vid en flod/ en bäck. Denna terrasscamping har platser med stängsel, med skugga, utan skugga och platser med lite skugga. Det finns möjlighet att hyra tält, husvagnar och bungalows. På campingen finns en lekplats. Denna inspektör gör varje år ett besök på Camping Des Glaciers och inspekterar campingen för ca 200 faciliteter och för andra förekommande punkter. Inspektören är en medarbetare från ACSI och arbetar inte för campingen. Located in a valley, sorrounded by epic Swiss mountains, camping des Glaciers is by far the best camp site I\\\'ve ever been to. It has immaculate toilets, sinks and showers, as well as clean washings facilities and shared fridges in several places around the camp, you can camp in the forest and in a field, there are also 2 playgrounds for kids and you can buy day passes that has access to tones of activities including ski lifts, mountain scooters, tree top high wire and visits to a saint Bernard\\\'s museum as well as lots of recommended walks in the scenery near by. Thank you very much for your very nice comment! We are happy you enjoyed the surroundings, the sanitary and the PASS St-Bernard for the activities. The area of the campsite is huge. Yet, they allocate only small area for walker\\\'s tents between the shower building and dining building which is not enough. The rest is occupied by camp trucks. As a result walkers and cyclists have to set their tents too close to each other. I think, they should extend the area for walkers. The price is for 2 persons in one tent. The showers are free. There is a washing machine and tumble dryer (use coins). There is practically no food to buy. Croissants can be ordered in the evening. Thank you for your comment. We are happy you apreciate the sanitary and personnal. We\'ll try to keep more space for walker\'s tent. It is only difficult between 20/07 and 5/08 because of the very high season. In the village (5\' walk) we have a little supermarket. Arrived late, so camp reception was closed. Pitched up anyway on our choice of pitch, wasn't an issue and stayed there the whole week... Facilites were excellant, never had to wait for a shower and always hot running water.. Our son is autistic and was made to feel extra welcome... Would recommand this camp to anyone, fantatstic. Breathtaking views, peace, quiet and tranquility. Really loved this camp site and would have loved to stay longer. Waking up to the view of the mountains was something that couldn't be beaten. Staff were friendly and knowledgeable. The freshly baked, local bread every morning was delicious! Lots of information and leaflets available. Lots of well marked trails to walk of varying difficulty and to suit most abilities. Short walk into the village of La Fouly with a Tourist Information office, shop, bars etc. This campsite was in a stunning location with beautiful views of a Glacier! The plots were of a fantastic size and well spread out in a natural environment. There were plenty of shower/toilet blocks. The children loved the space and freedom. The staff spoke fantastic English and gave us information on the area. There was a play area and great log cabin with a TV and computers for all to use. Hope to visit again soon! I've been here exactly one year ago for 8 days, and I've been amazed by almost any aspect during this period, not to mention the surroundings and spectacular mountain views. There are many hiking trails around for every experience level, and it's easy to get overenthusiastic about it. Beside the scenery, camping staff are very helpful, camping pitch is very convenient. I recommend this place to every nature-lover, it's not a coincidence that this place has received so many positive reviews. I'll be going again this year. Vill du boka campingen Camping Des Glaciers eller få mera information? Det går bra med nedanstående uppgifter eller via campingens webbsida. 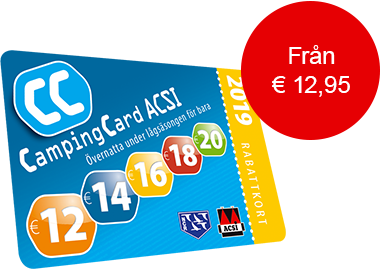 ACSI Eurocampings skickar din informationsförfrågan till "Camping Des Glaciers".